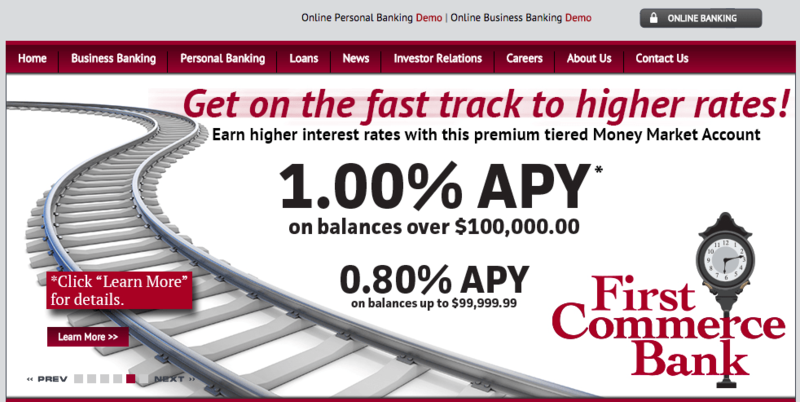 Saturday, November 5, 2016 Category: firstcommercebk, First Commerce Bank Online Banking Login. 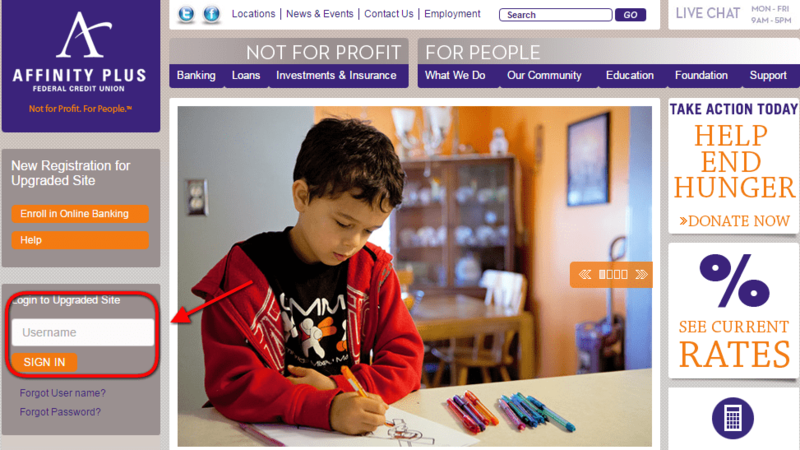 Step 1 – Visit 1st (First) Commerce Bank’s Website and click the Online Banking button in the right hand corner of the homepage. 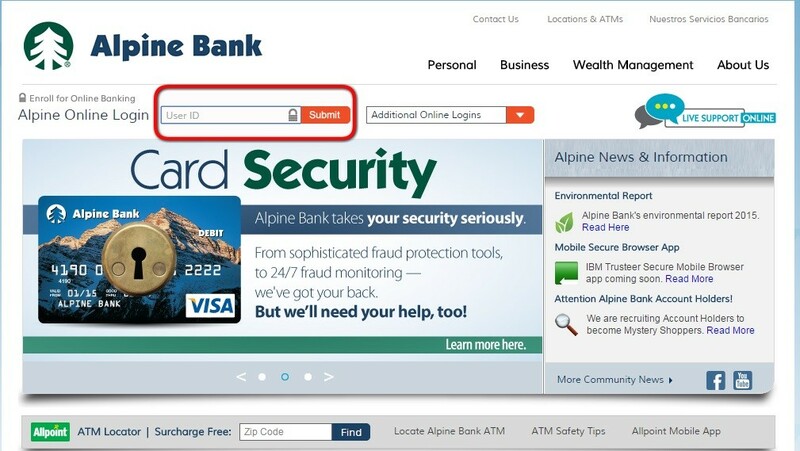 Step 2 – Click Login under which type of account you have (whether it be Business or Personal). Step 3 – Input your User ID in the available space, then click Continue. 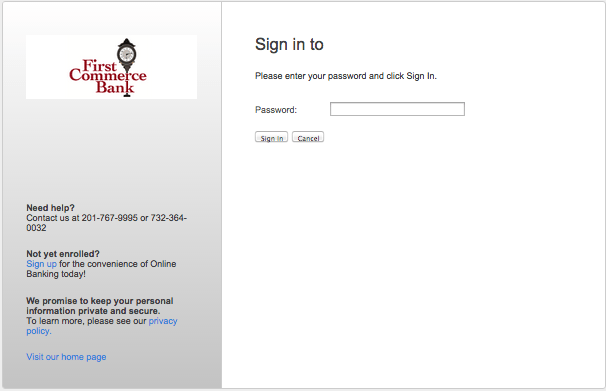 Step 4 – Enter your Password and click Sign In to access your account. 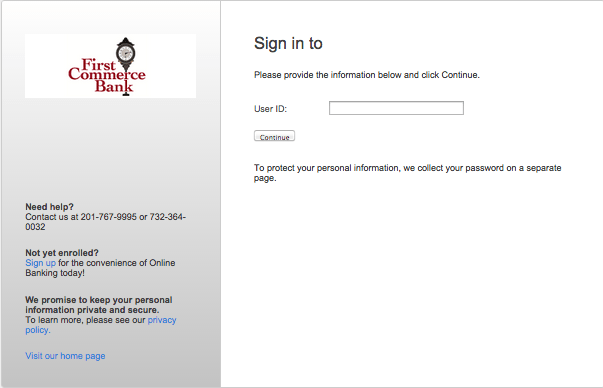 Forgot User ID/Password – If your User ID or Password has been forgotten, contact the customer service department(201-767-9995 or 732-364-0032) and inform a bank associate of your problem. They will then help you recover your forgotten item. 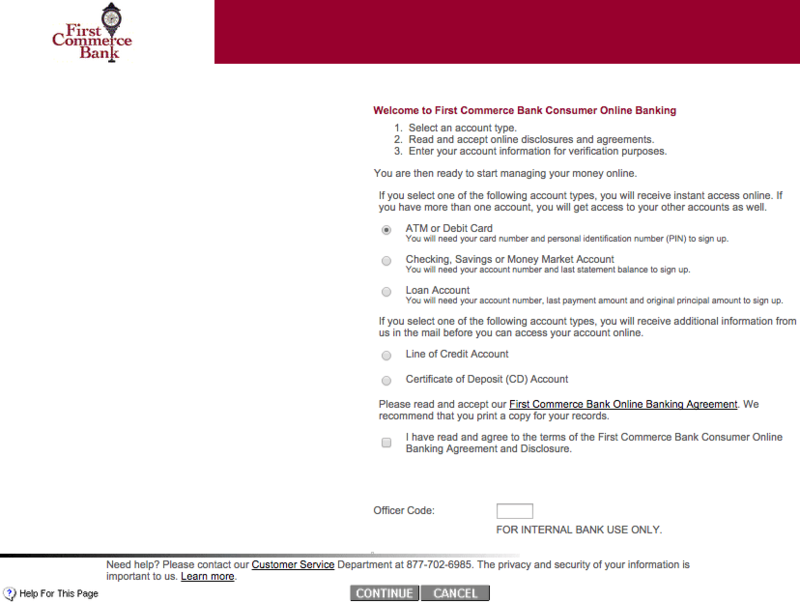 Step 1 – Visit 1st (First) Commerce Bank’s Enrollment Page by clicking the Register link, located under Online Banking. Select which type of account you possess, then read the First Commerce Bank Online Banking Agreement by clicking the link. Once you have read the agreement, check the box below if you do indeed agree, then click Continue. 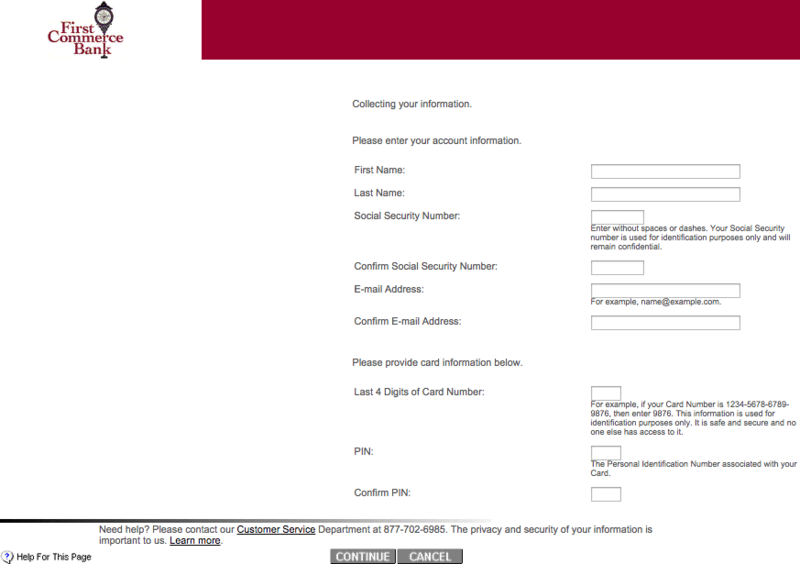 Step 2 – They will then supply you with a form to collect your information. Enter the following account information, then click Continue.